You have been a very good finswimmer for many years. Please tell us something about your career, from the beginning to the day you gave up with the finswimming! My career started as a swimmer. In the second grade my friend took me to her training and I became a really good butterfly swimmer. But after 8 years I switched to the finswimming. That’s how my finswimming career began in November 1999. That was the best decision of my life. In the following year (2000) I did not only qualify for the European Youth Championships in St. Petersburg, but also won 3 gold medals (50m and 100m SF and 50m AP) and 1x silver with the 4x100m relay! 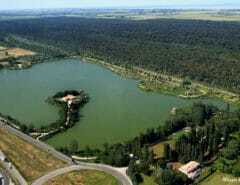 Also for the World Championships in Palma de Mallorca the same year, I had qualified. There I increased again and swam just 3 hundredths unded the youth world record. That was a successful debut. 🙂 2001 should be my most successful year. Starting with the youth world record over 50m SF followed by 3 gold and a silver medal at the Junior World Championships in Mexico (Aquascalientes) and bronze over 4x100m SF at World Games in Japan (Akita) and at the European Championships in Hungary. Then came the Great Burglary. Because of back problems I had to suspend 1 year and fought back only in 2004 in China back to the top of the World. In 2005 I finally won a medal in the open class (bronze over 4x100m SF). Although I was able to improve over the next few years time and again, but I never managed to win a single medal in the open scoring. That was always my biggest goal to confirm the performance of the youth among the adults. After school I went to the German Armed Forces to make my hobby a job. In these two and a half years, I was as fit as never before. Nevertheless, I just missed my big goal. Unfortunately, you can only enjoy this type of sports promotion in Germany for a very limited time. So I had to pursue my professional career at my peak performance and began in 2007 with a training as a media designer. With an 8-hour working day, it is very difficult to stay on the high level of the world elite of the fin swimming. Although I’m still swimming best times, but could not keep up with the performance leaps of the competition. Since I do not do things by halves, I decided for my professional career. What are you doing in your life now? Then I will study packaging technology and think again about finswimming. I’m not sure if I’m done with that yet. Who is your favorite athlete (past or present) and why? When I was little I always wanted to be like Franziska van Almsick, who would not want that? But then someone told me: “If you have an idol, you will never get past it.” I found that plausible and have always tried to realize my own goals. But if you ask me, which athlete I pay my respect, then it is the ones who dedicate their entire lives only to sports and give up everything else. I could not do it. Which is your best competition experience? Tell us about it! If I think so back, I had a lot of nice experiences in the competition. 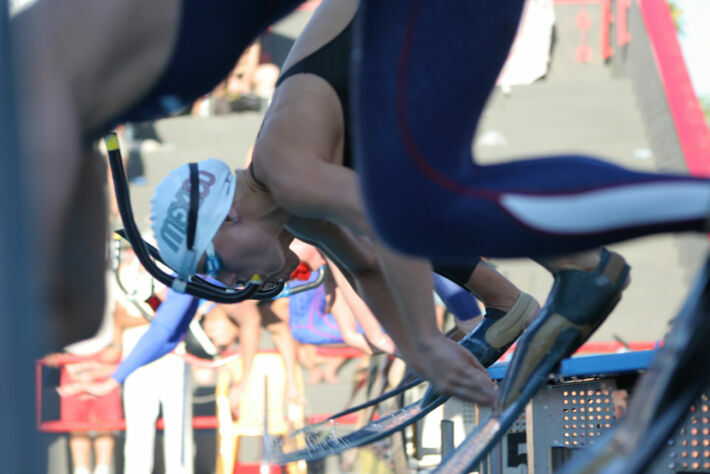 The most beautiful was probably the double victory with my teammate and friend Fridericke Zorn over 50m SF at the Junior World Championships in Mexico / Aquascalientes. What would you do if you had the opportunity to promote finswimming? I would try to make it known. 🙂 I’m also there by designing the advertising material for the German Championships 2010 with my designer team. I hope my video is soon on www.vdst.de to see. Did you like the finswimming scene? Are you still in contact with your old friends? Yes, of course, I’m still in contact with finswimmers, after all, I’ve spent almost half of my life with some of them. You can not just leave that behind. We also spend a lot of time together in our leisure time and I like that a lot. I also find it great that the friendships extend beyond the borders. So I have known some since the European Youth Championships in St. Petersburg in 2000. Do you have your own website? Do you think that the Internet as a medium could improve the situation for float floating worldwide? The internet is definitely the most important advertising medium. Anyone can present themselves on the internet and reach the whole world with it. The best example is Owl City with his song Fireflies, which has reached the top ten music charts through You Tube. The speed makes flipper swimming very attractive, but you have to market this speed better. The website www.finspirit.com is a great start. 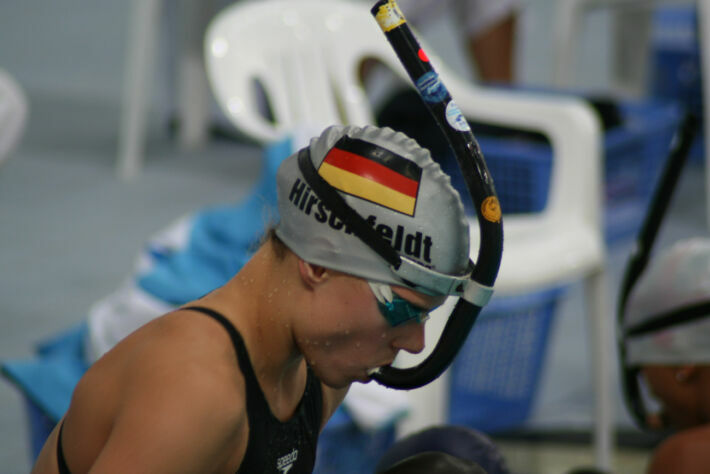 Finswimming in your home country Germany. Tell us a bit about the conditions there! In Germany, unfortunately, there are not many cities where you can practice fin swimming optimally. Most of the top athletes come from Rostock, Leipzig and Berlin. Unfortunately, there is a lack of potential young talent in Germany as well. It is becoming increasingly rare for a top athlete to grow up in the youth field. Programs such as the Bundeswehr can not be used as well. Thus, every athlete comes at some point to the point where the career is more important. Most of it is due to the lack of financial support. Finswimming and the youth! What would you recommend to a young person who starts finswimming? What advice can you give him along the way? Condition is in my opinion a good physical fitness. 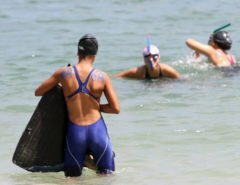 It’s not enough to just train in the water! Talk a little bit about whatever comes to your mind (free topic)! I do not think it’s good that Bifins was included in the competition program. Speed is what makes fin swimming so spectacular. Bifins is a step backwards in that respect. Du warst viele Jahre lang eine sehr gute Flossenschwimmerin. Erzähle uns doch bitte mal etwas über Deine Karriere, vom Anfang bis zu dem Tag, als du das Flossenschwimmen an den Nagel gehängt hast! Begonnen hat meine Karriere als Schwimmerin.In der 2. Klasse nahm mich meine Freundin zu ihrem Training mit und ich wurde eine richtig gute Schmetterlingschwimmerin (butterfly). Doch nach 8 Jahren wechselte ich dennoch zum Flossenschwimmen. So begann im November 1999 meine Flossenschwimmer-Karriere. Das war die beste Entscheidung meines Lebens. Gleich im folgenden Jahr (2000) qualifizierte ich mich nicht nur für die Jugendeuropameisterschaften in St. Petersburg, sondern gewann auch gleich 3 mal Gold (50m und 100m SF sowie 50m AP) und 1x Silber mit der 4x100m Staffel! Auch für die Weltmeisterschaften in Palma de Mallorca des gleichen Jahres, hatte ich mich qualifiziert. Dort steigerte ich mich nochmals und schwamm nur 3 Hundertstel am Jugendweltrekord vorbei. Das Jahr 2001 sollte mein erfolgreichstes Jahr werden. Angefangen mit dem Jugendweltrekord über 50m SF folgten 3 Gold- und eine Silbermedaille bei den Jugendweltmeisterschaften in Mexico (Aquascalientes) und jeweils Bronze über 4x100m SF bei World Games in Japan (Akita) sowie bei den Europameisterschaften in Ungarn. Dann kam der Große Einbruch. Wegen Rückenproblemen musste ich 1 Jahr aussetzen und kämpfte mich erst 2004 in China wieder an die Weltspitze zurück. 2005 gewann ich endlich auch mal in der offenen Klasse eine Medaille (Bronze über 4x100m SF). Zwar konnte ich mich in den nächsten Jahren zeitlich immer wieder verbessern, doch gelang es mir nie eine Einzelmedaille in der offenen Wertung zu gewinnen. Das war immer mein größtes Ziel, die Leistungen aus der Jugend bei den Erwachsenen zu bestätigen. Nach der Schule ging ich zur Bundeswehr um mein Hobby zum Beruf zu machen. In diesen 2 1/2 Jahren war ich so fit wie nie zuvor. Trotzdem habe ich mein großes Ziel knapp verpasst. Leider kann man in Deutschland diese Art von Sportförderung nur eine sehr begrenzte Zeit genießen. Somit musste ich auf meinem Leistungshöhepunkt meiner beruflichen Karriere nachgehen und fing 2007 mit einer Ausbildung als Mediendesignerin an. Mit einem 8h Arbeitstag ist es sehr schwer auf dem hohen Niveau der Weltelite des Flossenschwimmens zu bleiben. Ich bin zwar weiterhin Bestzeiten geschwommen, konnte aber mit den Leistungssprüngen der Konkurrenz nicht mehr mithalten. Da ich keine halben Sachen mache, entschied ich mich für meine berufliche Karriere. Was machst Du jetzt in Deinem Leben? Danach werde ich Verpackungstechnik studieren und nochmal über Flossenschwimmen nachdenken. Ich bin mir noch nicht sicher, ob ich damit schon fertig bin. Wer ist dein Lieblingssportler (Vergangenheit oder Gegenwart) und aus welchem Grund? Als ich Klein war wollte ich immer wie Franziska van Almsick sein, wer wollte das nicht. Doch dann hat mir einer gesagt: “Wenn man ein Idol hat, kommt man an diesem nie vorbei.” Das fand ich einleuchtend und habe seitdem immer versucht meine eigenen Ziele zu verwirklichen. Doch wenn man mich fragt, welchem Sportler ich meinen Respekt zolle, dann sind es die Jenigen, welche ihr komplettes Leben nur dem Sport widmen und alles andere dafür aufgeben. Ich konnte es nicht. Welches ist Dein schönstes Wettkampferlebnis? Erzähl’ uns davon! Wenn ich so zurück denke, hatte ich eine Menge schöner Erlebnisse beim Wettkampf. Das schönste war wohl der Doppelsieg mit meiner Mannschaftskollegin und Freundin Fridericke Zorn über 50m SF bei den Jugendweltmeisterschaften in Mexico/Aquascalientes. Was würdest Du tun, wenn Du die Möglichkeit hättest, um Flossenschwimmen bekannter zu machen? Ich würde versuchen es bekannter zu machen. 🙂 Ich bin auch schon dabei, indem ich mit meinem Designer-Team die Werbemittel für die Deutschen Meisterschaften 2010 gestalte. Ich hoffe mein Video ist demnächst auf www.vdst.de zu sehen. Mochtest Du die Flossenschwimmszene? Bist Du noch in Kontakt mit deinen alten Freunden? Ja nathürlich bin ich noch in Kontakt mit Flossenschwimmern, immerhin hab ich mit einigen von denen fast die hälfte meines Lebens verbracht. Das kann man nicht so einfach hinter sich lassen. Wir machen auch viel in unserer freizeit miteinander und das finde ich auch gut so. Toll find ich auch, dass die Freundschaften über die Grenzen hinausreichen. So kenn ich einige schon seit der Jugendeuropameisterschaft in St. Petersburg im Jahr 2000. Hast Du Deine eigene Webseite? Glaubst Du, daß das Internet als Medium die Situation für das Flossnschwimmen weltweit verbessern könnte? Das Internet ist definitiv mit das wichtigste Werbemedium. Im Internet kann sich jeder präsentieren und erreicht damit die ganze Welt. Bestes Beispiel ist Owl City mit seinem Song Fireflies, welcher durch You Tube in die Top Ten Musik Charts gelangt ist. Durch die Geschwindigkeit ist Flossenschwimmen sehr attraktiv, doch müsste man diese Geschwindigkeit besser vermarkten. Die Webseite www.finspirit.com ist ein toller Anfang. Flossenschwimmen in Deiner Heimat Deutschland. Erzähle uns ein bißchen über die Verhältnisse dort! In Deutschland gibt es leider nicht viele Städte, in denen man Flossenschwimmen optimal ausüben kann. Die meisten Spitzenathleten kommen aus Rostock, Leipzig und Berlin. Leider fehlt es auch in Deutschland an potentiellem Nachwuchs. Es wird immer seltener, dass aus dem Jugendbereich ein Spitzensportler heran wächst. Programme wie die Bundeswehr können viel zu wenig genutzt werden. Somit kommt jeder Athlet irgendwann an den Punkt, an dem die berufliche Karriere wichtiger wird. Meistens liegt es an der fehlenden finanziellen Unterstützung. Flossenschwimmen und die Jugend! Was würdest Du einem jungen Menschen empfehlen, der mit Flossenschwimmen anfängt? Welche Ratschläge könntst Du ihm mit auf den Weg geben? Vorraussetzung ist meiner Meinung nach eine gute körperliche Fitness. 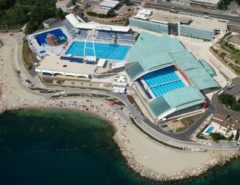 Es reicht nicht nur im Wasser zu trainieren! Rede ein bißchen über was immer dir in den Kopf kommt (freies Thema)! Ich finde es nicht gut, dass Bifins in das Wettkampfprogramm aufgenommen wurde. Die Geschwindigkeit ist das was Flossenschwimmen so spektakulär macht. Bifins ist in der Hinsicht ein Rückschritt.